The Christmas lights across town are switched on, and the festive spirit is spreading across campus. But how can you make the most of Christmas time at Surrey? 1. Gather some festive decorations! Teaching will stop on 14th December, so that means the perfect opportunity to make your student pad look as festive as possible over the next couple of weeks. But there’s no need to spend a fortune on shop-bought decorations and you can get creative with some homemade ideas. How about taking a walk to some of the local parks to collect some decorations to make a wreath? You can even make snowflakes and other tree decorations out of disused food packaging. 2. Start buying some presents! Maximise the student discount and Black Friday discounts too: they’re sure to be around for a while! Some shops will offer boosted student discount on certain days, so look out for this and check whether your bank offers cashback at some shops – that will be a nice reward come January! You can also collect a Little Book of Guildford Offers, which has freebies and money off at a range of stores (including those which don’t have a student discount). A lot of major retailers in town have these books by their tills, so keep an eye out, or download the PDF version here. 3. Why not organise a Secret Santa amongst your housemates? This saves you money and time by having to source a gift for just one person. But it can also turn into a nice event if you exchange the gifts at a Christmas meal together. Be sure to set a budget and date for the exchange. Perhaps you’re having difficulties getting everyone together to draw out the names for the Secret Santa? Websites such as Elfster allow you to do it from phone instead! 4. Attend a Christmas event. 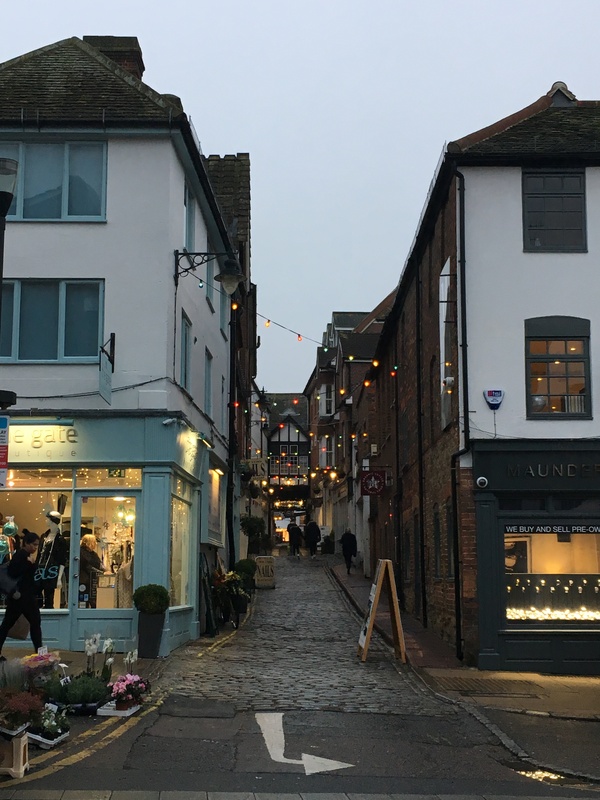 Throughout December, there’s an array of quaint little Christmas markets going on, and also the weekly one (every Saturday) on the North Street. This is a great chance to pick up some festive plants or baked goodies, whilst supporting local businesses. There are lots of Carol Concerts taking place to help get you in the Christmas spirit, including those at the local churches in town, or the one organised by the University at the Cathedral (with our Gospel and Chamber Choirs) on 5th December at 6pm. 5. Catch up with friends over a warm drink and mince pies. There’s something quintessentially festive about a cosy pub with an open fire in the winter, and Guildford has an abundance of them! The ones along with the river also offer the chance to enjoy the crisp air under a patio heater, so be sure to have your bobble hat at the ready and warm up with a hot chocolate or mulled wine. Freshers week – what to expect?